A few days ago I headed to Aldi for a large family Thanksgiving grocery haul! This was also a two-week grocery haul and included some additional food items we needed such as ground beef, extra bread, oatmeal, etc. 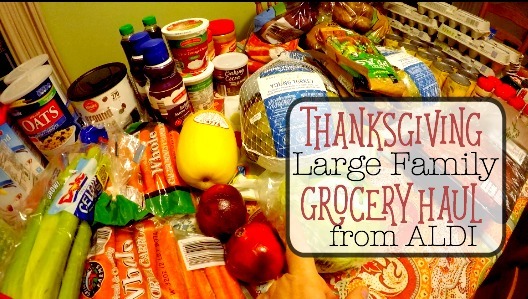 Click here for the full THANKSGIVING Aldi Large Family Grocery Haul! PLUS, I was going to share our large family Thanksgiving meal plan in an additional video clip. However, real life happened and I wasn’t able to get that filmed. I ended up creating a FREE Large Family Meal Plan for you to download instead! Just text THANKFUL to 44222 and I’ll get that out to you! Not able to send a text right now? That’s not a problem! 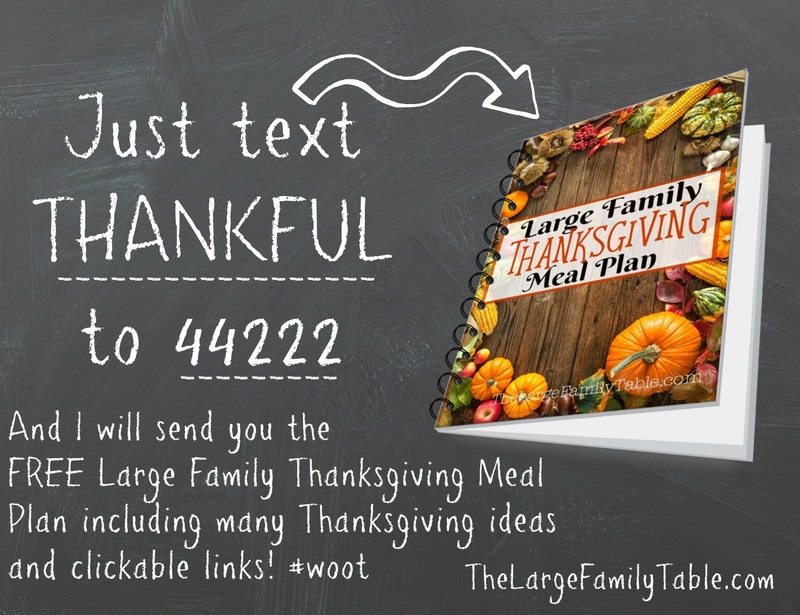 Just click here or use the form below and I’ll send your Free Large Family Thanksgiving Meal Plan right out. This is a digital product that’s coming straight to your inbox. I hope you enjoy!! No fair my Aldi does not have bags of cheese that big! I need that lol.